Jesper is heading up Elements and Moulds – Engineering. He has delivered organizational footprint and technology strategies within Element design and Mould Manufacturing - establishing Engineering centers in LEGO manufacturing sites in Mexico and Denmark. Responsibilities include delivering innovation to support product development and leading engineering on manufacturing sites. 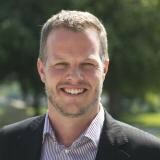 During his work Jesper has profound focus on how IoT can support his visions and enable the future – a true IOT-technology evangelist. Jesper has worked for LEGO in several roles. 1) Responsibility for R&D in Packaging and Processing (Decorations and Assembly) 2) Delivering coherent business plan for DUPLO product line enabling gross sales increase, establishing sustainable value chain optimizations– delivered sustainablesavings redefining product design –incl. marketing ROI, 4P and recruitment strategies for stronger consumer franchise. 2) Responsibilities for product development execution for LEGO Games, LEGO Technic, LEGO Hero Factory - leading development teams through design, sourcing and marketing process from concept to finished product. 3) establishing logistics strategy, delivered turn around results in increasing differentiated services and reducing costs by e.g. outsourcing, consolidating sites and redefining logistic service offering. Check out the incredible speaker line-up to see who will be joining Jesper.